Five men have been arrested and charged with a string of crimes that had baffled French police - thanks to chemical technology. Officers used an undetectable and almost indelible coded trace chemical that is identifiable under UV light to link the suspects to a particular crime. It is very difficult to wash off, and lasts for weeks on skin or months on clothing. Police turned to science after traditional methods of detection had failed, as the criminals had left no traces at the scenes. A diluted form of the chemical marker is sometimes diluted in water fired from water-cannon to disperse crowds, so that trouble-makers can be identified later. Some security systems are equipped with canisters that can spray intruders. The chemical is 'coded'. Once identified under UV light, further testing can link it to specific locations - in this case a vehicle that had been stolen. 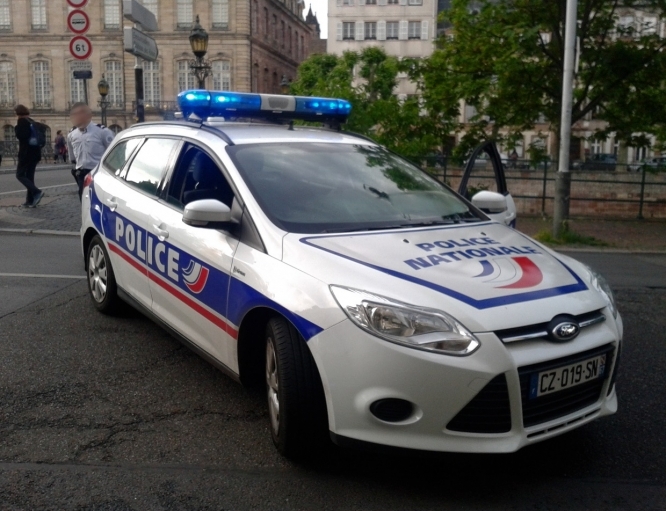 In this case, surveillance had identified the vehicle as a potential target, so officers from Poitiers sprayed the marker chemical on its seats. The men, aged between 20 and 37, and who all live in Périgny, near La Rochelle, were indicted in Rennes last Friday in relation to a string of thefts over a period of four months, estimated at €200,000, from car dealerships, clothing stores and supermarkets in Charente-Maritime, Deux-Sèvres and Vendée. Four have been remanded into custody, while a fifth has been remanded on bail under court supervision.